Yes! The colorants in colored mulch are safe for people, animals, and the environment. In fact, recent independent laboratory studies looked at colored mulch very closely to determine its toxicity. In the studies, toxicity is tested using a variety of reaction types — from acute oral, skin, and inhalation toxicity to eye and skin irritation. The results place the colorant used in colored mulch into the lowest and safest level of toxicity possible — Category IV ― the same level as the sugar you put in your coffee (which is not to say we recommend consuming it). By contrast, table salt and baking soda have higher levels of toxicity. 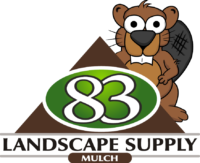 What's Your Most Popular Mulch? By far, Dark Brown Colored Mulch. It's the classic rich brown color everyone's loved for years! The ultra violet light inhibitors are key in preventing the fade to grey. 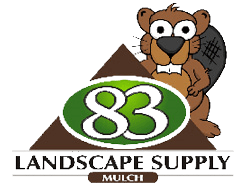 How do I calculate how much Mulch or Soil I need? How Mulch Loose Stone Do I Need? How Much Compacted Stone Do I Need? In nut shell, failure to all wood pieces during warranty period at not cost to you unless wear and tear, or damage is observed. Delivery and installation is not included. Typically the warranty process entails sending a picture to Eastern Jungle Gym and they will call you to confirm the model, part and shipping preference. If not in a rush, We will happily put it on our next freight delivery free of charge. 83 Landscape Supply can also help you with your claim, but ultimately Eastern Jungle Gym will make the final call on warranty related items. Please visit for a complete written warranty policy. What are your swing sets made out of? Eastern Jungle Gym Swingsets are only made from 100% Cedar from sustainable forests. Cedar is naturally insect and bug resistant and overall a great choice. Our wood is better by leaps and bounds over pressure treated lumber. Why alter the sate of wood and introduce un-needed chemicals? I doesn't make sense to us, and we do not sell it! How much is your delivery and installation for a swing set? We have tiers of installation costs. Typically we are $199-$299 on most sets for standard installs. 90% Of the time the cost is accurate. There are small charges for angle bases when not on level ground. For safety we may need to install extra supports or anchors. For non level yards we will always recommend a straight base as the sets are specifically designed to allow installation on almost any grade. Please contact us on installation questions. I have an Eastern Jungle Gym swing set, can you move it to m new house? If you are in our territory and a reasonable distance away, we can dissemble, transport and reassemble at your new address. This fee varies on type of swing set and distance. While pricing is based on hourly wage and transportation, keep in mind that a certified installer knows the ins-and-outs of your set and is always the most efficient worker. We usually will not disassemble a non-EJG swing set but you can email us a picture or give us a call to find out! We reserve the right to make final decisions on the phone or in person. We accept Credit/Debit card over the phone or for our online shop. Customers may drop off cash or a check before delivery. We do not do C.O.D. orders anymore. If deliveries are placed in our secure online shop, we will briefly call you to confirm time, date and location of drop if not specified in order notes. Expect the call within 24 hours. If you call your order into us, we will give you delivery info over the phone. Normal delivery times are 1-2 days. Sometimes on nice dry spring weeks we will be booked 1 week out. We will make every attempt to fit you in if it is an emergency. We use leading technology such as the 256 bit encrypted SSL certification to make sure your online shopping experience is the safest it can be. How do I get a reciept? If you supplied an email, it will be sent to you automatically. If not, please call us to receive a receipt via fax or snail mail. As always you can come in anytime and we can print up a duplicate receipt.